Foods high in fiber: These are artichokes brussels sprouts and pea, avocados, nuts, berries, and seeds, esp. flaxseeds and chia seeds. Foods high in chromium: they improve the glucose tolerance factor in a body and balance out naturally blood glucose levels. Magnesium-rich foods: Eating magnesium-rich foods (yogurt, spinach, pumpkin seeds, chard, almonds, and black beans) plays a role in glucose metabolism and your natural treatment for diabetes. Healthy fats: they can balance out blood sugar levels. Clean protein: protein foods slow down the absorption of sugar. Some of the best sources of clean protein include organic chicken, wild-caught fish, grass-fed beef, bone broth and lentils and eggs. Low glycemic load foods: to fight diabetes, consume low glycemic foods such as organic meat, non-starchy vegetables, nuts, seeds, stone fruits and berries, avocados, coconut, wild-caught fish, eggs, and raw pastured dairy. Refined sugar: it has an ability to spike blood glucose, and fruit juice, soda and other sugary beverages are your worst enemies. They enter the bloodstream very fast causing extreme elevations in blood glucose. Such natural sweeteners as raw honey or maple syrup are better choices, but still they can affect your blood sugar levels. The best option is to use stevia that does not have as much of an impact. GMO foods: they may promote diabetes. Grains: Grains like wheat contain huge amounts of carbohydrates which turn into sugar within a few minutes of consumption. Conventional cow’s milk and dairy products: they should be eliminated (esp. 1 diabetes). Hydrogenated oils: they are processed at high temperatures, and consuming them has been linked to diabetes. Alcohol: it has an ability increase blood sugar to dangerous levels and lead to liver toxicity. Sweet liquors and beer are especially high in carbohydrates and you should definitely be avoided. Alpha Lipoic Acid which is an antioxidant that improves insulin sensitivity and also it reduces symptoms of diabetic neuropathy. Fish Oil that improves markers of diabetes because it raises HDL cholesterol levels and reduces triglyceride levels. Bitter Melon Extract which helps you to lower blood glucose levels, and regulate the use of insulin by the body. Cinnamon which lowers blood sugar levels and also improves sensitivity to insulin. Chromium Picolinate. Studies show that only 600 micrograms of chromium picolinate with meals improves insulin sensitivity. 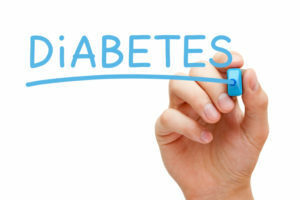 Exercising also reverses diabetes naturally. It supports metabolism by building lean muscle and burning fat and thus that is a wonderful natural treatment for diabetes. Remove all metal products (chains, rings, etc.) and put all metal products away. Before the session, drink one glass of water. Put a coil on the organ you are treating. Time of the session depends on the disease you are treating. Start using coils for 15-20 minutes a day. It is better to always start with the waist and kidneys. Thus, we prepare the filter of our organism for possible loads. Then the sessions can be increased to 45-60 minutes a day every other day. The main places are the chest, abdomen, loins and pancreas. After 2 to 3 weeks of use, it is advisable to take a week break. You can buy Mishin coil, or you can also get a free scheme and make Mishin coil yourself.